Tomcat 4 is our 13¼” diameter cat climber available as a wall mounted unit in heights of 72” & 88”. Tomcat 4 comes with four Access Holes which are 7” in diameter & comes with a Recessed Platform on top of the unit, which is 2” deep. 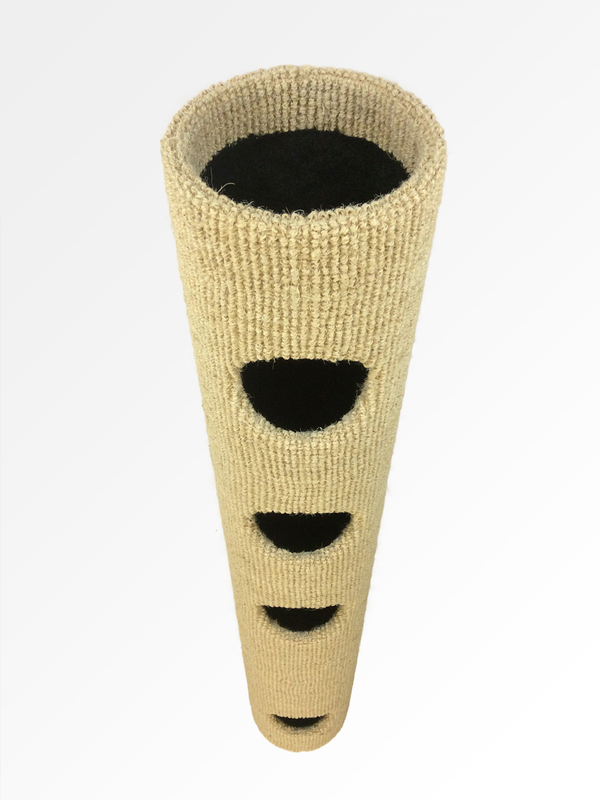 The 88” high model has Access Holes set at 12”, 43½” & 59” & 75” from the floor with a climb-through Shelf at the second Access Hole to allow internal climbing up & down to this level & a Full Shelf at Third & Fourth Access Hole levels. Pad cushions can be placed in the Recessed Platform & over shelves for added comfort plus there’s a interactive Hicatch Toy that can be wrapped around the unit.